Let’s be clear – there are several different types of sailing experiences – all of which require very different clothes. It’s always a great idea to find out exactly what type of sailing you will be doing, how hands on you will be and where you will be sailing. The location can make a huge difference and we aren’t just referring to which country you are in! There is a big difference between sailing on the east coast of the United Kingdom and the south coast. There are tidal differences and weather differences making the experience potentially poles apart. Dinghy Sailing will usually involve a much more hands-on experience of sailing. It is likely that you will be in your own dinghy or with another person depending upon the size of the dinghy. This type of sailing will usually result in getting physically stuck in and getting wet – no matter the weather! You will be sailing very low and if you don’t end up in the water, chances are you will be facing a lot of spray and splashing! Yacht sailing can be much less hands-on depending upon how involved you will be and the weather. On a blustery day expect to feel more of a wind chill and face a little more spray as you whip along with the wind. 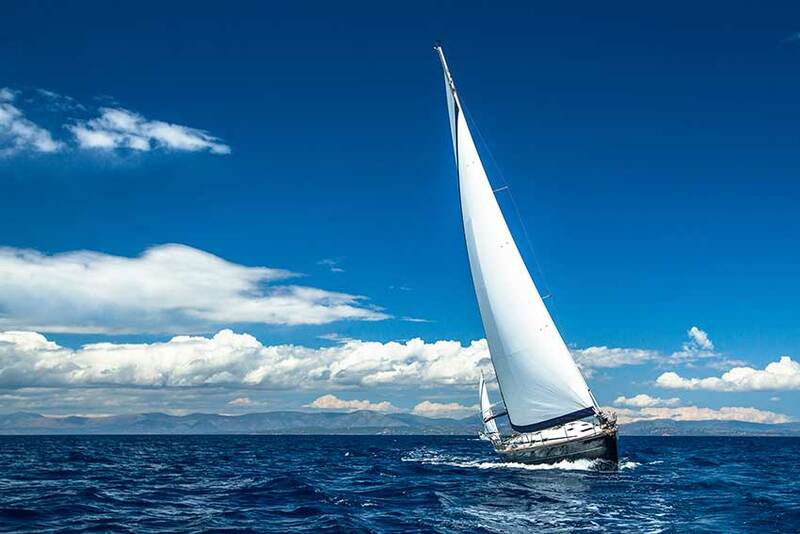 If however it is a beautiful sunny day with calm seas – you may be doing a little less sailing and more motoring. These conditions are usually more frequent on the south coast as opposed to some of the other coasts of England further up north. You are, in this situation probably just along for the ride and are in for a relaxing day. You can afford to be a little less practical with your outfit – only marginally though, remember this is the UK and conditions can change at any time! Copyright © 2019 Marine & Outdoor Clothing. All Rights Reserved.